We are India’s leading manufacturer of the Y type strainer present the unrivalled quality BS Y strainer that we have designed and developed owing it’s high demand in the variegated countries which requires the Y strainer as per the BS standards. That means all the face to face dimensions and the end connection dimensions of this Y strainer are as per the BS (British standards). These Y strainers are manufactured under the strict watch in order to make it completely spotless and also tested to ensure its compliance, is compatible to operate under gas, liquid, and steam flow stream. We use quality tested material in the construction, whereas use modernized technology to improve its performance ability and hence our range of the BS Y strainer is applauded for its sturdiness, longevity and efficient performance under any surroundings. 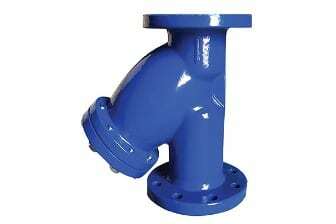 This BS Y strainer is available in the broadest inventory of the material and specifications to meet requirement of the every industry, which each is tested and meets the API standards, making it the most reliable alternative to filter impurities, which we provide in the India as well as foreign countries at the bottom rock prices.